Some might ask what Scouting has to do with Orthodoxy. I'll explain that here but dig in deeper in future blogs posts about the Scout Oath and the Scout Law. The 12th point of the Scout Law, Reverent, represents a Scout’s obligation to personal reflection and spirituality. Religion is an important component of Scouting. Part of the Scout Spirit that must be shown to advance in rank is demonstrating Duty to God. Saint George is the patron saint of Scouting. He is very much honoured by the Eastern Orthodox Church, wherein he is referred to as a "Great Martyr". His major feast day is on April 23 (Julian calendar 23 April currently corresponds to Gregorian calendar May 6). If, however, the feast occurs before Pascha, it is celebrated on Bright (Pascha/Easter) Monday, instead. By official designation of the Boy Scouts of America [BSA], Scout Sunday is always observed on the Sunday before February 8, Scouting Anniversary Day [founded in 1910]. In years when February 8 falls on a Sunday, such as this year, the BSA’s birthday and Scout Sunday are combined into a single observation. The Eastern Orthodox Committee on Scouting supports Orthodox youth through an extensive Religious Award program. The program is designed around a Scout’s spiritual life. It gives the Scout a chance to work closely with Scout leaders, parents, and their parish priest to earn their award. The learning and unique bonds formed during this process helps to form a solid spiritual foundation that will last for the rest of their lives. The Eastern Orthodox religious Scouting awards that Orthodox Christian Scouts can earn are the Saint George Medal, the Chi-Ro Medal, and the Alpha Omega Medal. Orthodox Christian Adult Volunteer Leaders can earn the Eastern Orthodox religious Scouter Award, the Prophet Elias Medal. These awards are often either awarded on Scout Sunday and/or the Feast Day of Saint George the Great-Martyr. Below is the Orthodox Christian history of Scouting in both the United States of America and some, but not all, traditionally Orthodox Christian lands. United States of America: In 1909, Chicago publisher W. D. Boyce was visiting London, where he encountered a boy who came to be known as the Unknown Scout. Boyce was lost on a foggy street when an unknown Scout came to his aid, guiding him to his destination. The boy then refused Boyce's tip, explaining that he was a Boy Scout and was merely doing his daily good turn. Interested in the Boy Scouts, Boyce met with staff at the Boy Scouts Headquarters and, by some accounts, Baden-Powell. Upon his return to the U.S., Boyce incorporated the Boy Scouts of America on February 8, 1910. Edgar M. Robinson and Lee F. Hanmer became interested in the nascent BSA and convinced Boyce to turn the program over to the YMCA for development in April 1910. Robinson enlisted Seton, Beard, Charles Eastman and other prominent leaders in the early youth movements. Former president Theodore Roosevelt, who had long complained of the decline in American manhood, became an ardent supporter. In January 1911, Robinson turned the movement over to James E. West who became the first Chief Scout Executive and Scouting began to expand in the U.S. The BSA's stated purpose at its incorporation in 1910 was "to teach patriotism, courage, self-reliance, and kindred values." Later, in 1937, Deputy Chief Scout Executive George J. Fisher expressed the BSA's mission; "Each generation as it comes to maturity has no more important duty than that of teaching high ideals and proper behavior to the generation which follows." The current mission statement of the BSA is "to prepare young people to make ethical and moral choices over their lifetimes by instilling in them the values of the Scout Oath and Law." In 1955, Archbishop Michael, of the Greek Orthodox Archdiocese, Metropolitan Anthony Bashir, of the Antiochian Orthodox Archdiocese, Bishop Orestes Chormock, of American Carpatho-Russian Orthodox Greek Catholic Diocese, and Metropolitan Leonty, of the Orthodox Church in America met with Joseph A. Brunton, Jr., the Chief Scout Executive of the Boy Scouts of America. The prelates came attired in their robes of office to bestow their blessing of the Boy Scouts and to make known to their constituents that they wanted Scouting to become a part of the youth programs of the local churches. This was one of the first cross-jurisdictional enterprises of the Orthodox Churches in North America. Later they included the Girl Scouts USA. 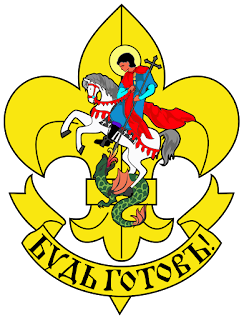 As a result of this historical meeting, the Eastern Orthodox Committee on Scouting [EOCS] was created in 1960 by the Standing Conference of Orthodox Bishops in the Americas, whose purpose is to conduct the mission of our Lord and His Church via the Boy Scouts of America and the Girl Scouts USA programs on a national level. The BSA is a constituent member of the World Organization of the Scout Movement. The traditional Scouting divisions are Cub Scouting for boys ages 7 to 10½ years, Boy Scouting for boys ages 10½ to 18 and Venturing for young men and women ages 14 (or 13 and having completed the 8th grade) through 21. Learning for Life is a non-traditional Exploring subsidiary that provides in-school and career education. 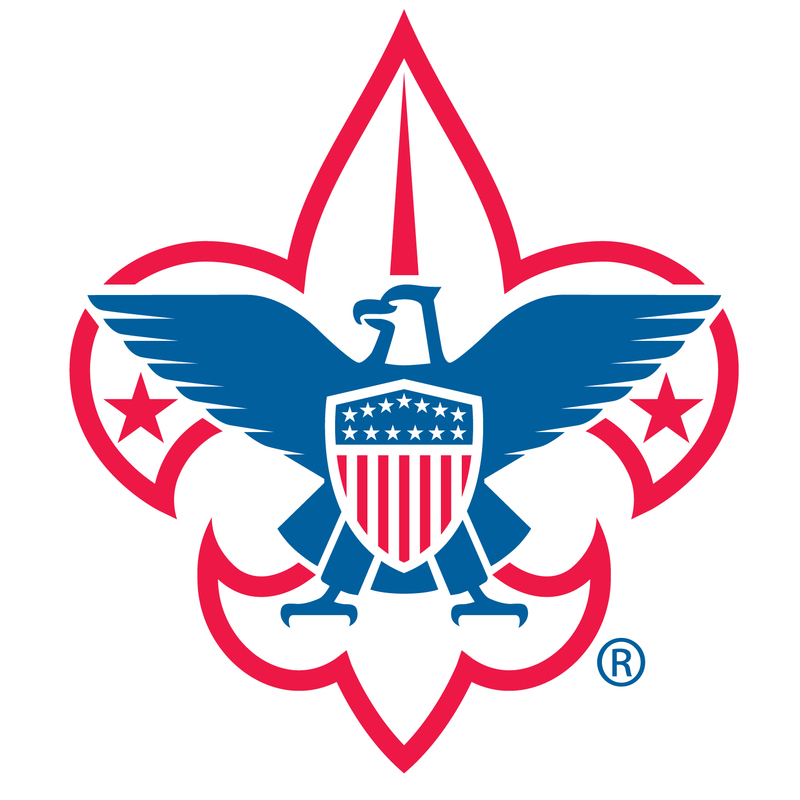 The BSA operates traditional Scouting by chartering local organizations, such as churches, clubs, civic associations, or educational organization, to implement the Scouting program for youth within their communities. Units are led entirely by volunteers appointed by the chartering organization, who are supported by local councils using both paid Professional Scouters and volunteers. 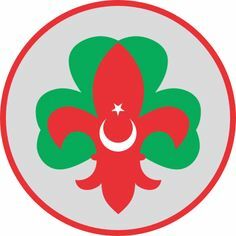 Constantinople: Scouting and Guiding Federation of Turkey (Türkiye İzcilik Federasyonu, TİF) is the national Scouting and Guiding federation of Turkey. It serves 33,974 Scouts. The federation is a member of the World Organization of the Scout Movement since 1950. The start of Scouting in Constantinople is attributed to the brothers Ahmet and Abdurrahman Robenson, who were sports teachers at the Galatasaray and Kabataş high schools in Constantinople in 1909. In 1915 an Austro-Hungarian Scout unit in Constantinople was founded and served up to 1918. This unit was a member of the Österreichischer Pfadfinderbund. This Scout Association supported the foundation of Scout groups in Damascus, Beirut and Aleppo. The Scouting efforts were put to a halt during the Balkan Wars and World War I, and again gained momentum after the foundation of the Republic of Turkey in 1923, following the fall of the Ottoman Empire. In 1926, Scouting activities began to be organized nationwide in schools. Ahmet Han, the Director of Scouting, and Muhittin Akdik, the Director of Education in İstanbul, visited France, the United Kingdom and Switzerland in 1946 to study Scouting and its administration, and returned determined to build up the movement on fundamental and modern lines. Sıtkı Sanoplu was responsible for starting the Cub Scout program in 1950. Cub packs existed in the coeducational primary schools, and were themselves coed, but boys and girls were placed in separate sixes, or dens. Practically all the Cubmasters were women. With the 1991 breakup of the Soviet Union, it was suggested that the Turkish Scouting and Guiding Federation should assist in the creation of Scout movements in the Turkic Central Asian republics of Kazakhstan, Kyrgyzstan, Turkmenistan and Uzbekistan, but it is uncertain if this plan ever materialized. The current Scouting and Guiding Federation of Turkey was legally organized in 1992 as administratively bound to the General Directorate of Youth and Sport. In February 2007, the federation gained autonomous status. Russia: In 1908, Baden-Powell's book Scouting for Boys came out in Russia by the order of Tsar Nicholas II, an Orthodox Christian Saint. It was called Young Scout (Юный Разведчик, Yuny Razvedchik). On April 30 [O.S. April 17] 1909, a young officer, Colonel Oleg Pantyukhov, organized the first Russian Scout troop Beaver (Бобр, Bobr) in Pavlovsk, a town near Tsarskoye Selo. In 1910, Baden-Powell visited Nicholas II in Tsarskoye Selo and they had a very pleasant conversation, as the Tsar remembered it. 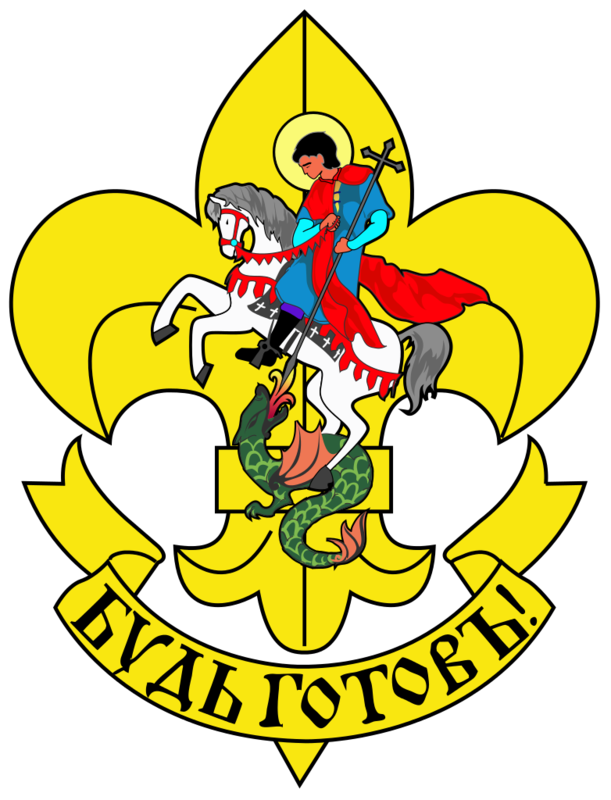 In 1914, Pantyukhov established a society called Russian Scout (Русский Скаут, Russkiy Skaut). The first Russian Scout campfire was lit in the woods of Pavlovsk Park in Tsarskoye Selo. A Russian Scout song exists to remember this event. Scouting spread rapidly across Russia and into Siberia, and by 1916, there were about 50,000 Scouts in Russia. Nicholas' son Tsarevich Aleksei, another Saint in the Orthodox Church, was also a Scout himself. With the advent of communism after the October Revolution of 1917, and during the Russian Civil War from 1917 to 1922, most of the Scoutmasters and many Scouts fought in the ranks of the White Army and interventionists against the Red Army. Tsar Nicholas and his son, Alexei, were martyred. The organization then went into exile, and continued in many countries where fleeing White Russian émigrés settled, establishing groups in France, Serbia, Bulgaria, Argentina, Chile, and Paraguay. A much larger mass of thousands of Russian Scouts moved through Vladivostok to the east into Manchuria and south into China. Colonel Pantyukhov, Chief Scout of Russia, first resided in France and then moved to the United States, where large troops of Russian Scouts were established in cities such as San Francisco, Burlingame, California, and Los Angeles. He returned to Nice, France where he died. 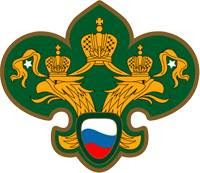 Russian Scouting was recognized as a member of the World Organization of the Scout Movement, in exile, from 1928 to 1945. The Scout movement began to reemerge and was reborn within Russia in 1990. Greece: Scouts of Greece or Soma Hellinon Proskopon (Σώμα Ελληνων Προσκόπων, ΣΕΠ) is the national Scouting association of Greece. During the 1908 Summer Olympics, in London, Athanasios Lefkaditis, a young physical education teacher, observed with interest the British Scouts' service and activities at the Games. He met with Robert Baden-Powell and shortly after, introduced Scouting in Greece in 1910 and was among the charter members of the World Organization of the Scout Movement in 1922. . Ever since, Scouts of Greece has been active in social welfare and relief activities during natural disasters such as great fires and earthquakes. Scouts of Greece is also active in Australia, Canada, Egypt, Saudi Arabia, South Africa and the United Kingdom. 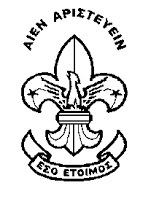 These groups form a special region within Scouts of Greece's structures. The association has 18,482 members (as of 2011). The majority of members belong to the Orthodox Christian Church. However, boys and girls of all religions and ethnic groups, residents of Greece, are welcome to become members. Serbia: The first Scout units in what was to become Yugoslavia were founded in 1911 by Dr. Miloš Popović, in Belgrade, Kragujevac, Vranje and Valjevo. As Kingdom of Yugoslavia, Serbia served as one of the 20 original signatories that founded the World Organization of the Scout Movement, from 1922 to 1950. The Russian Scout association Русский Скаут went into exile after World War I, and continued where fleeing White Russian émigrés settled, establishing groups in Serbia. The outbreak of World War II saw the suspension of Scouting in Serbia in 1941, when Yugoslavia was occupied by the Germans. Scouting in Yugoslavia was co-opted by the Tito government in 1950, at which time WOSM membership was forfeited, as the new organization did not meet all the criteria for membership, as there were very close connections with the communist government. In 1951, individual Scout associations were founded in all then-Yugoslav republics. The Scout Association of Yugoslavia was renewed under the former Federal Socialist Republic of Yugoslavia on November 24, 1951 at a meeting held in Zagreb, now in Croatia. Individual branches were created for each constituent republic, and the Scout movement grew and thrived until the Yugoslav dissolution in 1991. 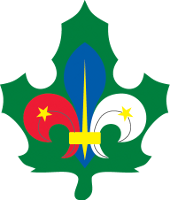 Yugoslavia, as Serbia and Montenegro, returned as the 137th member of the World Organization of the Scout Movement on September 1, 1995. In the prevailing situation in the Balkans, the association is very active in social work for all segments of the population, and cooperates closely with the Red Cross in providing aid to refugees, opportunities for the disabled, help for orphans and general aid to areas in crisis. The SIS has recently been featured in news stories about the work they are doing for the environment. The SIS is active in a campaign to introduce new methods and materials of packaging, different schemes for garbage collection and recycling programmes. Serbia and Montenegro fielded a contingent EuroJam 2005. The Savez Izviđača Srbije is a voluntary, independent, nonpolitical and social organization of children, youth and adults, for development of their physical, intellectual and spiritual potential. Every citizen of Serbia could become a member of the Savez Izviđača Srbije, if he or she accepts the Program of the Association and acts in accordance with the Scout Laws and regulations of the Constitution of Savez Izviđača Srbije, and is active in his or her unit and in the Association. 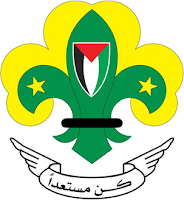 Palestine: The Scout movement in Palestine started in 1912. The Palestinian Scout Association (جمعية الكشافة والمرشدات الفلسطينية) was recognized by the World Scout Bureau in 1945. In 1948, thousands of Palestinians fled or were driven from their homes and formed a Palestinian Scout Association in exile. This association was refused membership in the World Organization, but Scouting continued nonetheless. WOSM recognition of Scout movements is possible only when Scouting is active and operating within the borders of its own national state and that state having a seat in the United Nations. In 1993, an agreement was reached and slowly land was returned to the Palestinians. The Palestinian Scout Association immediately resumed its activity in this region. Palestine was not recognized by the United Nations, but WOSM decided to give the Palestinian Scout association a special temporary status. Before the proposal was brought to a vote, the president of the Israel Scouting Federation made a statement asking the World Scout Conference to support the proposal. His speech was received with a standing ovation. The Palestinian Scout Association was accepted as an Associate WOSM Member. On 27 February 2016, the World Scout Committee recognized Palestinian Scout Association as the National Scout Organization of the State of Palestine and conferred the Association with Full WOSM Membership with voting rights. The membership certificate will be presented to the organisation in the 41st World Scout Conference, which will be conducted in Baku, Azerbaijan in 2017. 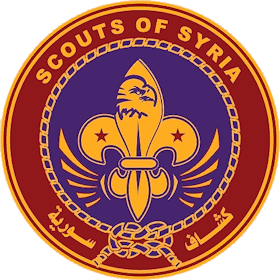 Syria: Scouting started in Syria in 1912, when the country was part of the Ottoman Empire. In 1924, a federation of Christian and Muslim associations from Lebanon and Syria became member of the World Organization of the Scout Movement (WOSM). 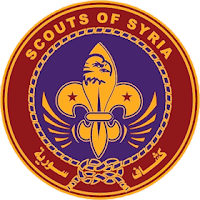 In the 1930s and 1940s, this federation was affected by the political situation in the region, and especially by the separation of Syria and Lebanon, which led to the registration of the Boy Scouts de Syrie as a separate member of WOSM in August 1949. Syria hosted the 1st Arab Regional Scout Jamboree in 1954 and the 3rd Arab Regional Scout Jamboree and the 1st Arab Regional Scout Conference, both in 1958. During this conference, Damascus was named as headquarters of the Arab Scout Region. Romania: Romania was a founding member of the WOSM, having formally had Scouts between 1913 and 1937. Influenced by reading Baden-Powell's "Scouting for Boys", the first informal patrol of Boy Scouts was established in Romania in 1913 at Gheorghe Lazar high school by Dimitri Dimancescu, his brother, Ion, and classmates. Prince Carol would become the first formal troop leader. Others joined in broadening awareness of the Scout movement (Gheorghe Munteanu-Murgoci, Alexandru Borza, Vladimir Ghidionescu, Constantin Costa-Foru, Nicolae Iorga, Ion G. Duca and Colonel Grigore Berindei) who became familiar with the Scout movements in the United Kingdom, France, Belgium, and Germany. The translation of Baden-Powell's book Scouting for Boys into Romanian was published in 1915. 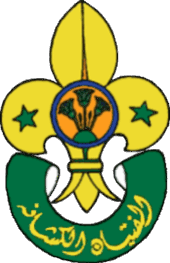 That same year saw the official founding of the Cercetaşii României; on the occasion, Lord Baden-Powell sent a message of congratulations, with the admonition that Scouting should be adapted to the local situation. Membership grew quickly across Romania. During World War I, Romanian Scouts were very active in defense activities. Ecaterina Teodoroiu guided a patrol of Scouts and Guides and was employed as a nurse, before joining the Romanian Army and dying a heroine. Many Scouts who helped the transporting of the wounded were killed during the air attacks. On September 29, 1916, Baden-Powell sent a message expressing regret to the Scouts for the death of their fellows. At the end of the war, the Boy Scouts marched in the front of the Victory Train, under the Triumphal Arch in Bucharest. In 1920, 67 Romanian Boy Scouts and their leaders were present at the first World Jamboree in London, England. Before World War II, the Scout Movement developed further: many patrols were formed in towns and in villages, many camps, socials, expeditions and spectacles were organized, and a great number of magazines, literary writings and pedagogical studies were published for Scouts and their Chiefs. At the time, one of the devoted Boy Scouts was the philosopher Mircea Eliade. In 1930, the first Romanian Scout Jamboree took place, in the presence of Hubert Martin and many delegations of Scouts and Guides from other countries. Cercetașii României had 45,000 members at that point, and the Guides Movement had 14,000. The organizer and Chief of the Guides Movement was Princess Ileana, the daughter of Queen Marie. With the growing influenced of fascism in the 1930s, Romanian Scouting officially preserved its apolitical character, only to be replaced in 1937 by a totalitarian organization, Străjeria, as part of the dictatorial measures initiated by King Carol II (alongside the creation of the National Renaissance Front). After World War II, there were attempts to restore the Scout Movement in Romania, but the emergence of the communist regime brought a ban on all alternative youth movements, replaced by the Pioneer Organization and Union of Communist Youth. After the Revolution of 1989, former Scouts and others acted for the revival of Scouting in Romania. Cercetașii României was again established in 1991, and in 1993 gained recognition by the World Bureau of the WOSM. But in 2006, there are only 2,000 registered Scouts. Bulgaria: Scouting traces back to 1911-1913 in Bulgaria, with the founding of a national Scout organization following in 1923. Bulgarian Scouting was originally a member of the World Organization of the Scout Movement from 1924 to 1940. In the interwar period, Russian Scouting Русский Скаут went into exile, and continued in many countries where fleeing White Russian émigrés settled, establishing its own Scout groups in Bulgaria. Because of the political situation, Scouting in Bulgaria was suspended in 1940 and outlawed after the war, when communists controlled Bulgaria. Scout resources during the communist period were confiscated and redistributed to the Pioneri and the Chavdari of the Dimitrovist Pioneer Organization "Septemberists" for communist youth. Scouting resumed in 1989 when the Berlin Wall was taken down, but it did not meet WOSM requirements for membership until 1995. The negative legacy of the Communist youth organizations contributed to slow growth of the Scouting movement, as it left the Scouts ill-equipped and without experienced leadership or established programs. 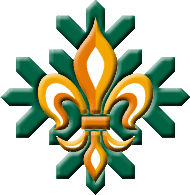 The Organizatsia Na Bulgarskite Skauty was accepted into the World Organization of the Scout Movement on January 17, 1999 as its 151st member, given an official welcome to WOSM at the World Scout Conference in South Africa on July 25, 1999. There are 57 Scout groups spread through Bulgaria, including in 20 of the largest cities and towns, with a membership of approximately 2,000. Sea Scouts are present in the city of Silistra, located on the Danube River, and on the Black Sea. The organization is volunteer-run. The Organizatsia Na Bulgarskite Skauty is open to both males and females. Bulgarian Scouts are well-publicized in their country and active in community development, including participating in projects related to reforestation and the Bulgarian Red Cross. Egypt: The Egyptian Federation for Scouts and Girl Guides (الاتحاد العام للكشافة والمرشدات‎‎ Al-Ittiḥād al-`Ām lil-Kaššāfah wal-Muršidāt) is the national Scouting and Guiding federation of Egypt. Scouting was founded in 1914 in Alexandria and was among the charter members of the World Organization of the Scout Movement in 1922. Most Scout troops are associated with schools, clubs, mosques and churches. Rover units are associated with high schools and universities. Egyptian Scouts play an important role in community service. They are involved in projects of desert reclamation, work camps, blood drives, medical care and other projects. Scouts are offered vocational training and the skills needed to help develop communities. Scouts learn the importance of planting trees where firewood is scarce, building energy efficient stoves and making good use of their skills of carpentry, electricity and plumbing. 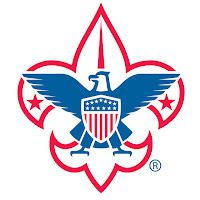 My son is an Orthodox Christian Scout selling popcorn to fund his pack's Cub Scouts camping trips if anyone would like to assist him in this: https://www.trails-end.com/store/scout/ZXPHQBKI Please be sure to use key code 3311354687 if it asks for one. Thank you in advance for your generosity!